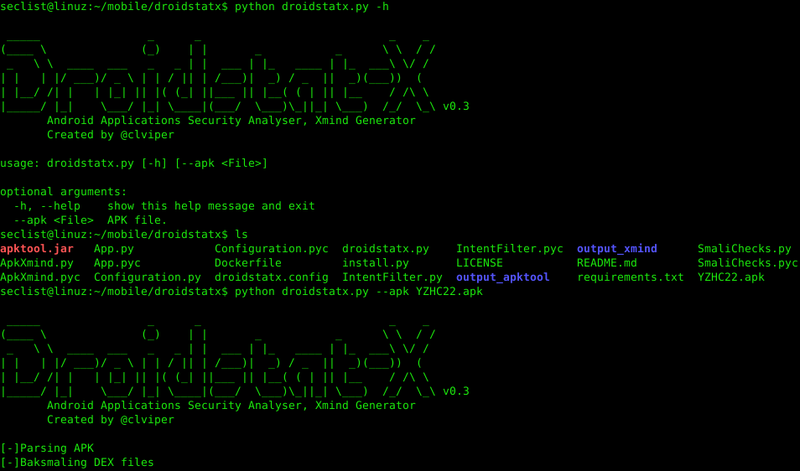 Browse: Home / droidstatx – Android Applications Security Analyser, Xmind Generator. 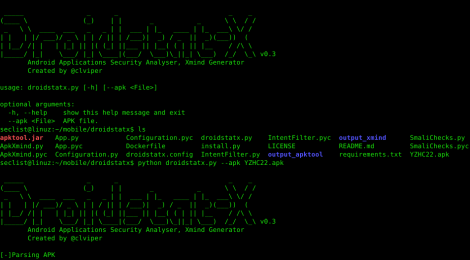 droidstatx – Android Applications Security Analyser, Xmind Generator. 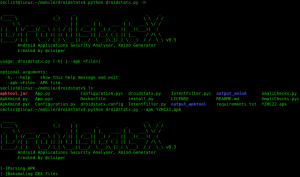 + droidstatx is a Python tool that generates an Xmind map with all the information gathered and any evidence of possible vulnerabilities identified via static analysis. + The map itself is an Android Application Pentesting Methodology component, which assists Pentesters to cover all important areas during an assessment. This was the main goal driving the tool development. + The tool also allows to add custom checks in a simple way, to confirm the existence of those patterns in the dalvik bytecode instructions. Each category has topics that you will need to cover in the format of a checklist, to guarantee and highlight coverage. Each topic has a URL to the respective chapter in the OWASP The Mobile Security Testing Guide (MSTG) explaining the vulnerability and how to confirm its existence. I collaborated a little bit on the OWASP MSTG project and have to give a big shout out to Bernhard and Sven for creating the project and bringing a lot of people together to develop it. The tool will automatically fill some of the topics with evidences based on the analysis, to help confirm if it is a false or a true positive. Each time the tool runs against a package, if the xmind map already exists,a new tab will be created on the workbook. This way it’s possible to keep a history file of every new version tested and compare it against previous runs. * The setup will download the latest jar version of apktool and pip install androguard and xmind-sdk-python. ← APTSimulator – A toolset to make a system look as if it was the victim of an APT attack.